It’s pouring with rain today, all day. Our visit to the flower festival aborted we decided to have a lunchtime drink in the Woodman in Chapmore End. It is perhaps my favourite pub along with the Wonder in Enfield. Small, simple, friendly unpretentious and nowadays it serves good and imaginative food as well as good bitter and now stocks sherry. It is satisfying sitting, talking in such quiet and non-judgemental atmosphere just as people have for a hundred years or more. 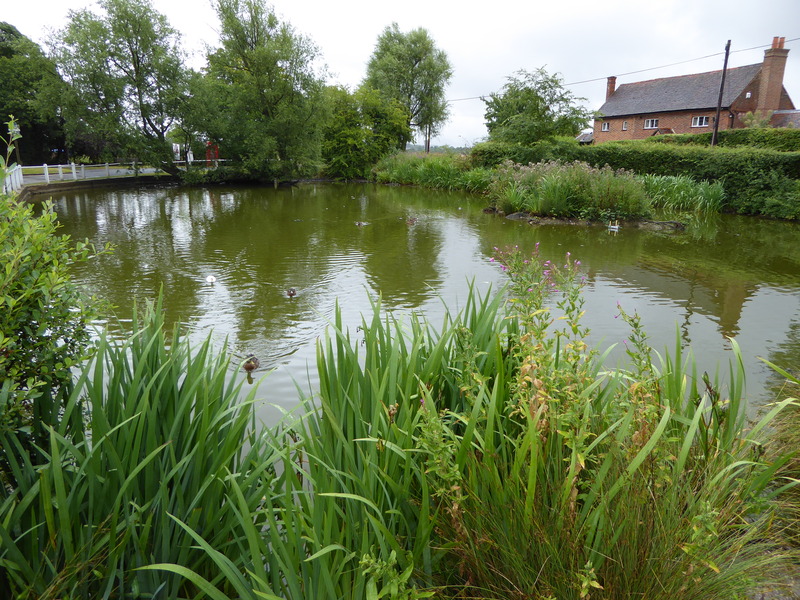 There is a picturesque village pond full of optimistic ducks and a bright red, traditional telephone box. One year we sat on the bench, next to the phone box with Bill and Renee, enjoying being there. Bill is no longer with us but I think of him on every visit. Valerie had her sherry, Peggy lime and lemonade and me tomato juice spiced with Tabasco sauce. 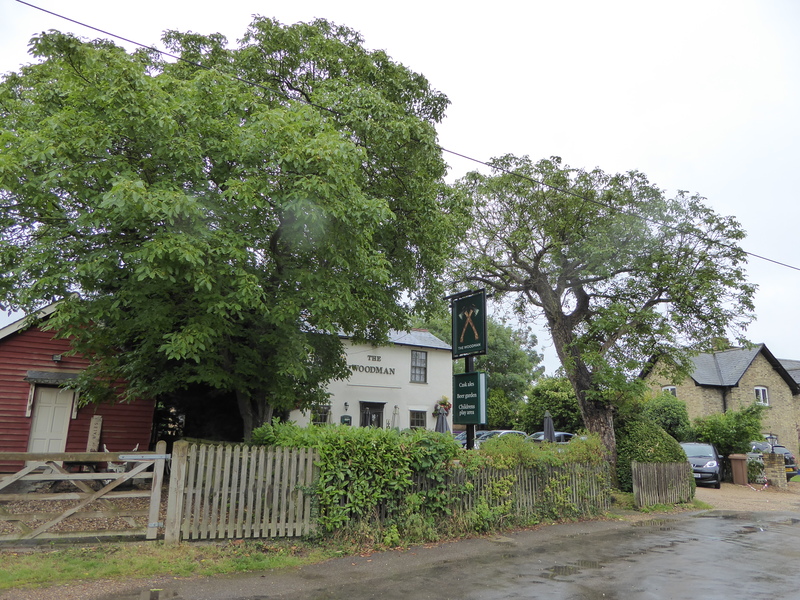 The Woodman – Chapmore End; quiet, unassuming, traditional. 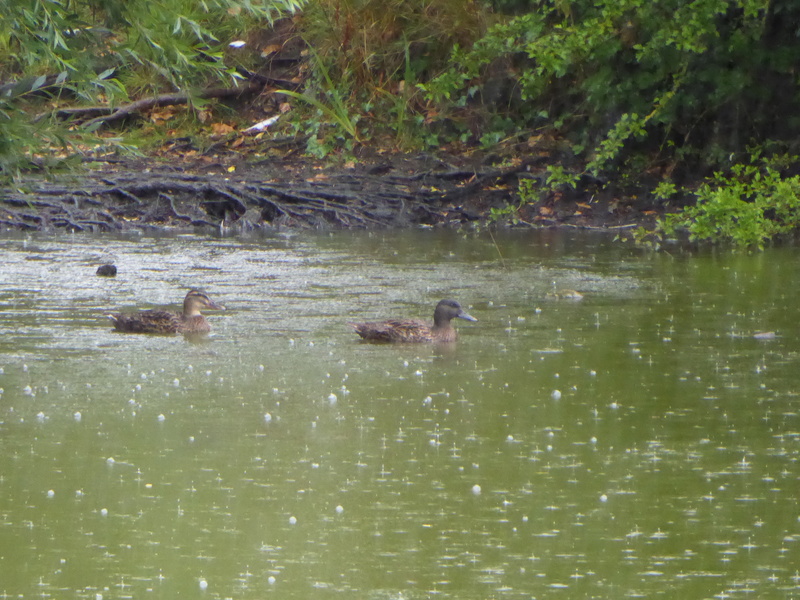 Ducks enjoying the rain, as I was! Ever optimistic they saw me and assumed I had food for them. You can just see a flash of red of the telephone box behind the trees. Our first visit in 2001, about 4 managers ago, was a strange experience and inspired a poem. We enjoyed it very much and have driven there for a drink witnessing changes over the years but it is still, at heart, the Woodman a great pub. bounces around in the winter sun. a concertina, all are silent. We don’t have sherry, don’t have food. in a pub that sells good bitter. it’s warm and a table’s free – so we stay.